I grew up in a rural landscape that inspired me to love moving around on my own two feet: hiking, biking, and cross-country skiing right out my back door. Nonetheless, my family relied heavily on cars for everyday travel. When I grew up, I wanted to live where I could put walking and biking to practical use. One of our biggest modern challenges, spanning issues of energy use, environmental conservation, social capital, and public health, is to create places where it is feasible to get around without cars and which are beautiful enough to inspire this choice. I am proud to take on this challenge in my work at Alta. Chester Harvey is a geographer with a background in transportation and land use planning, renewable energy, and interdisciplinary research. Before joining Alta, Chester led GIS projects for a wind energy consultancy and conducted research on livable urban design and travel behavior at the University of Vermont. 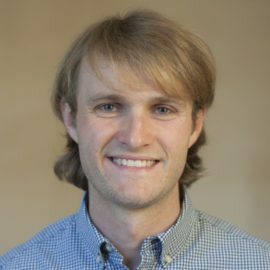 He brings substantial experience with spatial analysis, cartography, statistics, and data visualization, and a strong aptitude for collaboration.